Yesterday's release included a new feature to let publishers know the status of uploaded files while they are scanned for viruses. In the unlikely event that a virus is found, you will also see a warning when you try to save the page. Previously, there was no notification of a file being quarantined by the virus checker - it would just not be available for users to download on the front end. 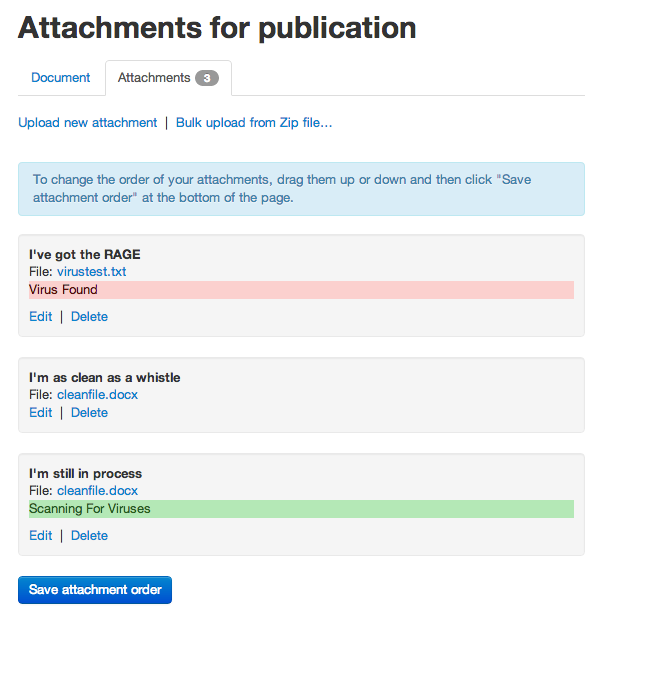 There are only 4 documents in the system that consequently have quarantined (ie missing) file attachments. We have emailed the owners of these documents so they can re-upload the missing files.